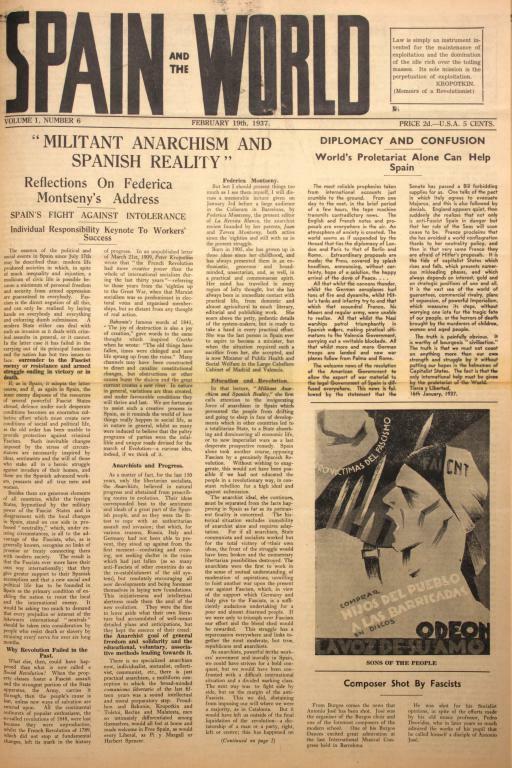 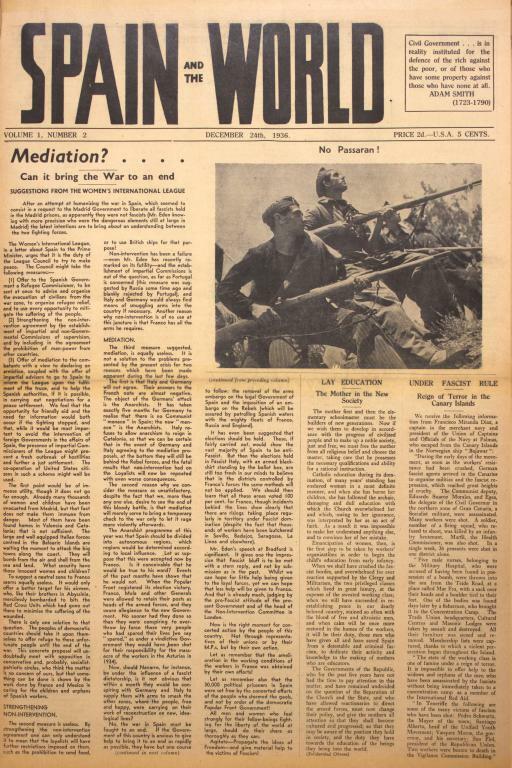 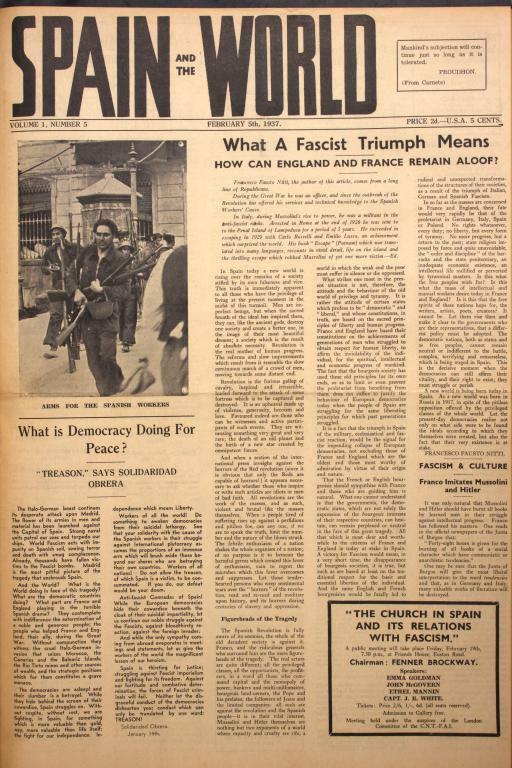 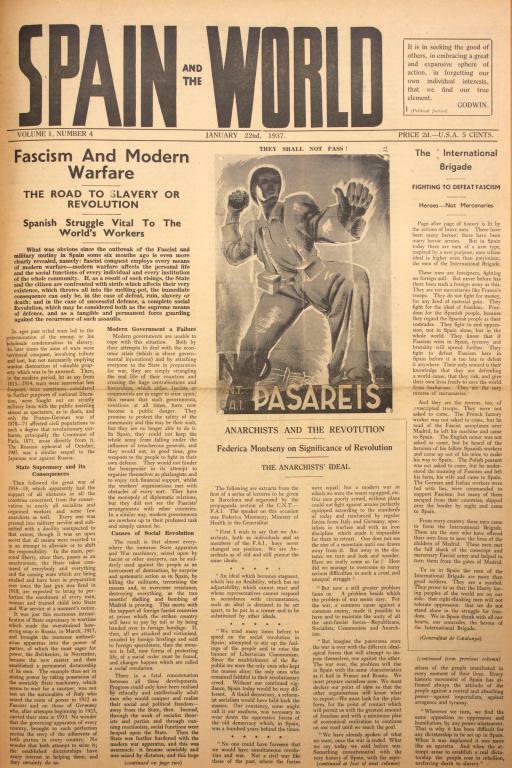 Partial archive of Spain and the World, an anarchist newspaper published by Freedom Press in London throughout the course of the Spanish civil war. 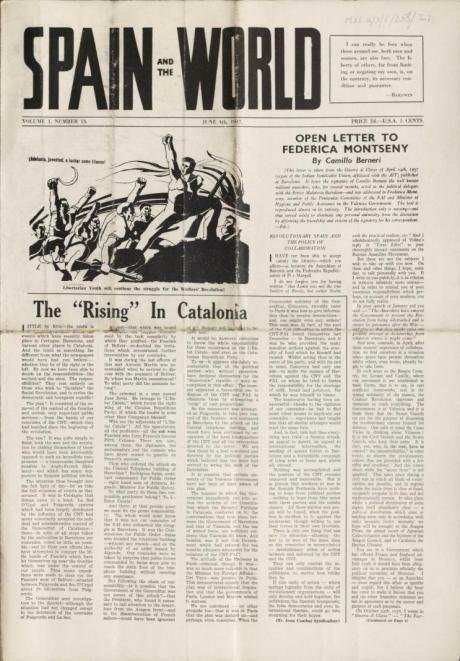 The third edition of Spain and the World, dated 8 January 1937. The sixth edition of Spain and the World, dated 19 February 1937. 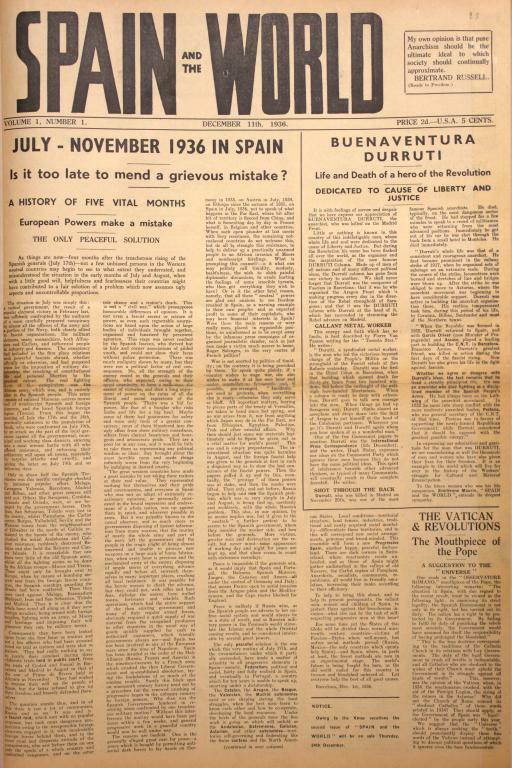 The thirteenth edition of Spain and the World, dated 4th June, 1937.